Fred Casden's Basement: Austin Idol: WWE Hall of Famer? 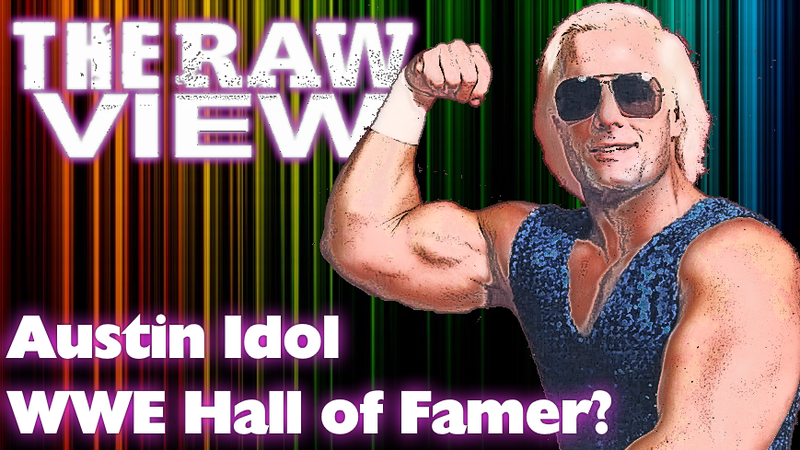 On this week's edition of The RAW View, I talk about The Universal Heartthrob Austin Idol as it relates to him possibly being a WWE Hall of Famer. But before we get to a rundown of Idol’s career, I have to say everything I’ve seen about Idol was what I could find on YouTube, and Idol’s was clearly incredible charismatic, and like Superstar Graham, The Rock, Hulk Hogan and John Cena, when Idol spoke you listen. Physically, while built on a ‘the small side’, at least when compared to a lot of guys in the WWF in the 1980s, Idol was really good in the ring, decent grappling skills and certainly could brawl, as seen in his famous hair vs hair cage match with Jerry Lawler. From 1972 to 1975, Idol wrestled under the names of Dennis and then Mike McCord, working for Eddie Graham in Championship Wrestling From Florida, Nick Gulas’s NWA Mid-Amercia promotion in Tennessee, and Jim Barnett’s World Championship Wrestling in Australia, before landing in Vince McMahon Sr’s World-Wide Wrestlign Federation, where he was managed by the legendary Lou Albano, where he had some major profile matches. A return to Championship Wrestling From Florida saw him take the name ‘The Super Texan’ and would wrestle under that name for more of 1974 before reverting to wrestling as ‘Mike McCord’. During this stint in the CWF, the man that would become Austin Idol would get see action against the likes of Don Muraco and Bill Watts while teaming very now and then with Dusty Rhodes as his his ally following The American Dream’s legendary babyface turn, before moving on to Georgia Championship Wrestling for a time in 1975 and then taking some time off to let his body heal in the wake of of being in a plane crash and dealing with nagging injuries in February 20, 1975. However when he returned to action in 1978… he was totally different, bleach-blonde hair, 100 pounds lighter than he was previous and under the name of the Universal Heartthrob Austin Idol where he would become a staple of Jerry Jarrett’s Continental Wrestling Association where he would capture the AWA Southern Heavyweight Title from Jerry Lawler on Christmas Night that year for a short reign that was ended by Ron Fuller the next month. His time in the CWA would see Idol clash with the likes of Jackie Gargo, Bill Dundee and other alllies of The King before losing a loser leaves town match in April of 1979. 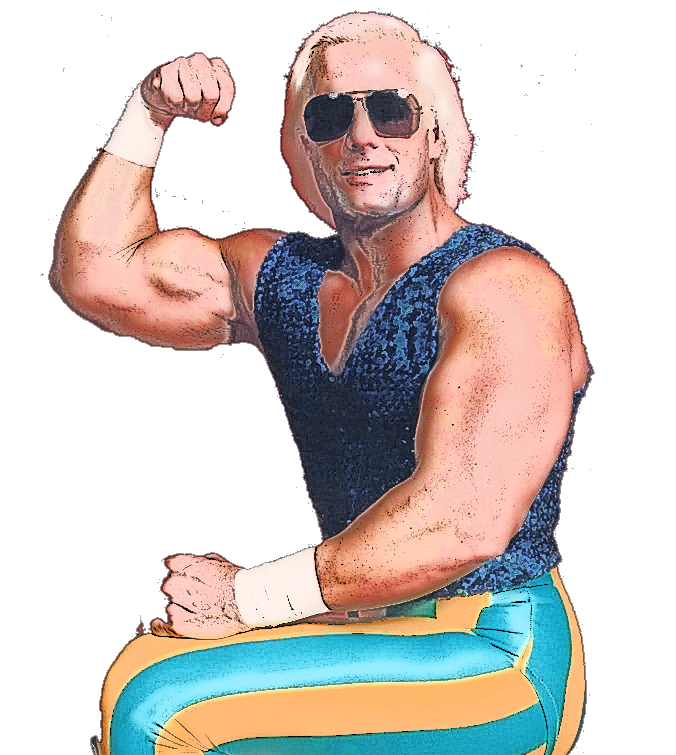 Idol would hit various territiores going forward, returning to Georgia and clashing with Mr. Wrestling II and Wildfire Tommy Rich, and winning the regions TV and Tag Team Tiles, he had a return to the WWF in 1980 facing Jose Estrada at Madison Square Garden, a cup of coffee in Mid-South before eventually returning to the CWA where he saw even more success capturing the CWA World Title and Tag Team Titles and later briefly resuming his feud with Jerry Lawler in 1981 before moving on to the Mid-Atlantic Championship Wrestling and then back to Georgia. The men he’d face in this time period is like a whose who, from Johnny Weaver to Blackjack Mulligan to Ricky Steamboat and Ric Flair. Idol would return to the CWA but this time would team with Jerry Lawler and do battle with Rich Rude for the AWA International Heavyweight Title. He end up having brief wrestling in SECW in Alabama and WCCW in Texas, while having continued success in the CWA, teaming with Tommy Rich in another war against Lawler that was the Wrestling Observer Feud of the Year until leaving for a tour with All Japan in the summer of 1987 that lasted to the spring of 1988. By the time he returned to the states, the CWA evolved into the USWA which would be where he saw the primarily amount of his ring action with a few brief stints at indy promotions heading into the mid 1990s before retiring in 1998. VERDICT: In my opinion, looking at Idol’s career with the information and footage I was able to find, there is without question that Austin Idol belongs in the WWE Hall of Fame as a star from the territory era, particularly with his work in the CWA working against and with Jerry Lawler.